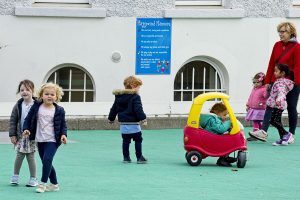 The Teresian Pre-School provides a unique educational experience for boys and girls from two years of age. 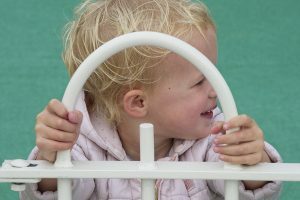 A high standard of care and education takes place in a safe, happy and child-centered setting where the children experience the joy of learning and growing. Our students are encouraged to learn through interactions in a warm stimulating environment, guided by experienced and well-trained teachers convinced that children learn when they are loved, respected and allowed to choose. Our education encompasses the spiritual, social, emotional, physical, intellectual and linguistic development of every child in our care. Pre-School students are given many opportunities to express themselves, be creative and experiment. Their interest in the written word increases as they begin to link it with what is read to them. They discover a new world when they begin to read their first words. Abundant material to aid discovery of number and the written word is made available to them. The monthly theme gives many opportunities for holistic learning. Pre-School students enjoy an array of activities intended to promote oral language development, gross and fine motor skill development and confidence. 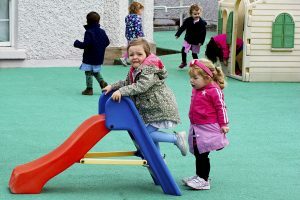 These activities include: playball, arts and crafts, singing and drama, ballet, circle time, painting, colouring, cutting, sticking and making, music and movement, imaginative play, dress-up, jigsaws, building bricks, Montessori practical life and sensorial exercises, physical education, storytelling, rhymes, pictures, playdoh and quiet time with books.